For the real-life battleship, see Russian battleship Potemkin. For the Pet Shop Boys album, see Battleship Potemkin (album). 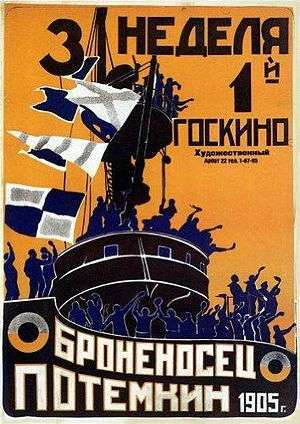 Battleship Potemkin (Russian: Броненосец «Потёмкин», Bronenosets Patyomkin), sometimes rendered as Battleship Potyomkin, is a 1925 Soviet silent film directed by Sergei Eisenstein and produced by Mosfilm. It presents a dramatized version of the mutiny that occurred in 1905 when the crew of the Russian battleship Potemkin rebelled against their officers. Battleship Potemkin was named the greatest film of all time at the Brussels World's Fair in 1958. The scene begins with two sailors, Matyushenko and Vakulinchuk, discussing the need for the crew of the Potemkin to support the revolution taking place within Russia. While the Potemkin is anchored off the island of Tendra, off-duty sailors are sleeping in their bunks. As an officer inspects the quarters, he stumbles and takes out his aggression on a sleeping sailor. The ruckus causes Vakulinchuk to awake, and he gives a speech to the men as they come to. Vakulinchuk says, "Comrades! The time has come when we too must speak out. Why wait? All of Russia has risen! Are we to be the last?" The scene cuts to morning above deck, where sailors are remarking on the poor quality of the meat for the crew. The meat appears to be rotten and covered in worms, and the sailors say that "even a dog wouldn't eat this!" The ship's doctor, Smirnov, is called over to inspect the meat by the captain. Rather than worms, the doctor says that the insects are maggots, and they can be washed off prior to cooking. The sailors further complain about the poor quality of the rations, but the doctor declares the meat edible and ends the discussion. Senior officer Giliarovsky forces the sailors still looking over the rotten meat to leave the area, and the cook begins to prepare borscht although he too questions the quality of the meat. The crew refuses to eat the borscht, instead choosing bread and water, and canned goods. While cleaning dishes, one of the sailors sees an inscription on a plate, which reads "give us this day our daily bread." After considering the meaning of this phrase, the sailor smashes the plate and the scene ends. All those who refuse the meat are judged guilty of insubordination and are brought to the fore-deck where they receive religious last rites. The sailors are obliged to kneel and a canvas cover is thrown over them as a firing squad marches onto the deck. The First Officer gives the order to fire, but the sailors in the firing squad lower their rifles and the uprising begins. The sailors overwhelm the outnumbered officers and take control of the ship. The officers are killed, the ship's priest is dragged out of hiding and the doctor is thrown into the ocean. The mutiny is successful but Vakulinchuk, the charismatic leader of the rebels, is killed. The Potemkin arrives at the port of Odessa. Vakulinchuk's body is taken ashore and displayed publicly by his companions in a tent with a sign on his chest that says "For a spoonful of soup" (Изъ-за ложки борща). The sailors gather to make a final farewell and praise Vakulinchuk as a hero. The people of Odessa welcome the sailors, but they attract the police. The best known sequence of the film is set on the Odessa steps, connecting the waterfront with the central city. A detachment of dismounted Cossacks forms a line at the top of the steps and march towards a crowd of unarmed civilians including women and children. The soldiers halt to fire a volley into the crowd and then continue their impersonal, machine-like advance. Brief sequences show individuals amongst the people fleeing or falling, a baby's pram rolling down the steps, a woman shot in the face, broken spectacles and the high boots of the soldiers moving in unison. In retaliation, the sailors of the Potemkin decide to fire on a military headquarters with the guns of the battleship. Meanwhile, there is news that a squadron of loyal warships is coming to quell the revolt of Potemkin. The sailors of the Potemkin decide to go all the way and lead the battleship from the port of Odessa to face the fleet of the Tsar. Just when the battle seems inevitable, the sailors of the formerly loyal ships incredibly refuse to open fire on their comrades, externalizing with songs and shouts of joy their solidarity with the mutineers and allowing them to pass unmolested through the fleet, waving the red flag. "The Odessa Steps" (Одесская лестница), in which imperial soldiers massacre the Odessans. "One against all" (Встреча с эскадрой), in which the squadron tasked with intercepting the Potemkin instead declines to engage; lowering their guns, its sailors cheer on the rebellious battleship and join the mutiny. Eisenstein wrote the film as a revolutionary propaganda film, but also used it to test his theories of montage. The revolutionary Soviet filmmakers of the Kuleshov school of filmmaking were experimenting with the effect of film editing on audiences, and Eisenstein attempted to edit the film in such a way as to produce the greatest emotional response, so that the viewer would feel sympathy for the rebellious sailors of the Battleship Potemkin and hatred for their overlords. In the manner of most propaganda, the characterization is simple, so that the audience could clearly see with whom they should sympathize. Eisenstein's experiment was a mixed success; he "was disappointed when Potemkin failed to attract masses of viewers", but the film was also released in a number of international venues, where audiences responded positively. In both the Soviet Union and overseas, the film shocked audiences, but not so much for its political statements as for its use of violence, which was considered graphic by the standards of the time. The film's potential to influence political thought through emotional response was noted by Nazi propaganda minister Joseph Goebbels, who called Potemkin "a marvelous film without equal in the cinema ... anyone who had no firm political conviction could become a Bolshevik after seeing the film". The film was not banned in Nazi Germany, although Himmler issued a directive prohibiting SS members from attending screenings, as he deemed the movie inappropriate for the troops. The film was eventually banned in some countries, including being banned at various times in both the United States and France, as well as in its native Soviet Union. The film was banned in the United Kingdom longer than any other film in British history. 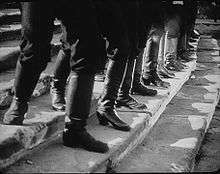 The boots of the soldiers shown marching down the "Odessa Steps"
One of the most celebrated scenes in the film is the massacre of civilians on the Odessa Steps (also known as the Primorsky or Potemkin Stairs). This sequence has been assessed as a "classic" and one of the most influential in the history of cinema. In the scene, the Tsar's soldiers in their white summer tunics march down a seemingly endless flight of steps in a rhythmic, machine-like fashion, firing volleys into a crowd. A separate detachment of mounted Cossacks charges the crowd at the bottom of the stairs. The victims include an older woman wearing pince-nez, a young boy with his mother, a student in uniform and a teenage schoolgirl. A mother pushing an infant in a baby carriage falls to the ground dying and the carriage rolls down the steps amidst the fleeing crowd. A baby in a carriage falling down the "Odessa Steps"
A wide shot of the massacre on the "Odessa Steps". The massacre on the steps, although it never actually took place, was based on the fact that there were widespread demonstrations in the area, sparked off by the arrival of the Potemkin in Odessa Harbour, and both The Times and the resident British Consul reported that troops fired on the crowds; deaths were reportedly in the hundreds. Roger Ebert writes, "That there was, in fact, no czarist massacre on the Odessa Steps scarcely diminishes the power of the scene ... It is ironic that [Eisenstein] did it so well that today, the bloodshed on the Odessa steps is often referred to as if it really happened." British painter Francis Bacon called this Battleship Potemkin image a "catalyst" for his work. The scene is perhaps the best example of Eisenstein's theory on montage, and many films pay homage to the scene, including Terry Gilliam's Brazil, Francis Ford Coppola's The Godfather, Brian De Palma's The Untouchables, George Lucas' Star Wars: Episode III – Revenge of the Sith, Tibor Takacs' Deathline, Laurel and Hardy's The Music Box, Chandrashekhar Narvekar's Hindi film Tezaab, Shukō Murase's anime Ergo Proxy, and The Magic Christian. Several films spoof it, including Woody Allen's Bananas and Love and Death, Zucker, Abrahams, and Zucker's Naked Gun 33⅓: The Final Insult (though actually a parody of The Untouchables), Soviet-Polish comedy Deja Vu, Jacob Tierney's The Trotsky and the Italian comedy Il secondo tragico Fantozzi. The 2011 October Revolution parade in Moscow featured a homage to the film. British painter Francis Bacon (1909–1992) was profoundly influenced by Eisenstein's images, particularly the Odessa Steps shot of the nurse's broken glasses and open mouthed scream. The open mouth image appeared first in his Abstraction from the Human Form, in Fragment of a Crucifixion, and other works including his famous Head series. 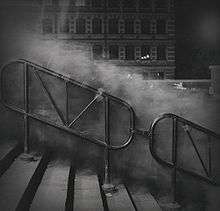 The Russian-born photographer and artist Alexey Titarenko was inspired by and paid tribute to the Odessa Steps sequence in his series "City Of Shadows" (1991–1993), shot near the subway station in Saint Petersburg. After its premiere in the Soviet Union, Potemkin was screened in the United States. It was shown in an edited form in Germany, with some scenes of extreme violence edited out by German distributors. A written introduction by Trotsky was cut from Soviet prints after he ran afoul of Stalin. The film was banned in West Germany, the United Kingdom (until 1954 and X-rated until 1978), France, and other countries for its revolutionary zeal. Today the film is widely available in various DVD editions. In 2004, a three-year restoration of the film was completed. Many excised scenes of violence were restored, as well as the original written introduction by Trotsky. The previous titles, which had toned down the mutinous sailors' revolutionary rhetoric, were corrected so that they would now be an accurate translation of the original Russian titles. Nikolai Kryukov composed a new score in 1950 for the 25th anniversary. In 1985, Chris Jarrett composed a solo piano accompaniment for the movie. In 1986 Eric Allaman wrote an electronic score for a showing that took place at the 1986 Berlin International Film Festival. The music was commissioned by the organizers, who wanted to commemorate the 60th anniversary of the film's German premiere. The score was played only at this premiere and has not been released on CD or DVD. Contemporary reviews were largely positive apart from negative comment because the music was electronic. Allaman also wrote an opera about Battleship Potemkin, which is musically separate from the film score. In its commercial format, on DVD for example, the film is usually accompanied by classical music added for the 50th anniversary edition re-released in 1975. Three symphonies from Dmitri Shostakovich have been used, with No. 5 beginning and ending the film, being the most prominent. In 2007, Del Rey & The Sun Kings also recorded this soundtrack. In an attempt to make the film relevant to the 21st century, Neil Tennant and Chris Lowe (of the Pet Shop Boys) composed a soundtrack in 2004 with the Dresden Symphonic Orchestra. Their soundtrack, released in 2005 as Battleship Potemkin, premiered in September 2004 at an open-air concert in Trafalgar Square, London. There were four further live performances of the work with the Dresdner Sinfoniker in Germany in September 2005 and one at the Swan Hunter ship yard in Newcastle upon Tyne in 2006. The avant-garde jazz ensemble Club Foot Orchestra has also re-scored the film, and performed live accompanying the film. For the 2005 restoration of the film, under the direction of Enno Patalas in collaboration with Anna Bohn, released on DVD and Blu-ray, the Deutsche Kinemathek - Museum fur Film und Fernsehen, commissioned a re-recording of the original Edmund Meisel score, performed by the Babelsberg Orchestra, conducted by Helmut Imig. In 2011 the most recent restoration was completed with an entirely new soundtrack by members of the Apskaft group. Contributing members were AER20-200, awaycaboose, Ditzky, Drn Drn, Foucault V, fydhws, Hox Vox, Lurholm, mexicanvader, Quendus, Res Band, -Soundso- and speculativism. The entire film was digitally restored to a sharper image by Gianluca Missero (who records under the name Hox Vox). The new version is available at the Internet Archive. Battleship Potemkin has received universal acclaim from modern critics. On review aggregate website Rotten Tomatoes, the film holds an overall 100% "Certified Fresh" approval rating based on 44 reviews, with a rating average of 9.1 out of 10. 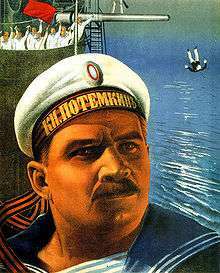 The site's consensus reads, "A technical masterpiece, Battleship Potemkin is Soviet cinema at its finest, and its montage editing techniques remain influential to this day." Since its release, Battleship Potemkin has often been cited as one of the finest propaganda films ever made and considered amongst the greatest films of all time. The film was named the greatest film of all time at the Brussels World's Fair in 1958. Similarly, in 1952, Sight & Sound magazine cited The Battleship Potemkin as the fourth greatest film of all time and has been voted within the top ten in the magazine's five subsequent decennial polls, dropping to number 11 in the 2012 poll. In 2007, a two-disc, restored version of the film was released on DVD. Time magazine's Richard Corliss named it one of the Top 10 DVDs of the year, ranking it at #5. It ranked #3 in Empire's "The 100 Best Films Of World Cinema" in 2010. In April 2011, Battleship Potemkin was re-released in UK cinemas, distributed by the British Film Institute. On its re-release, Total Film magazine gave the film a five-star review, stating: "...nearly 90 years on, Eisenstein’s masterpiece is still guaranteed to get the pulse racing." Directors Orson Welles, Michael Mann and Paul Greengrass placed Battleship Potemkin on their list of favorite films. Director Billy Wilder has named Battleship Potemkin as his favourite film of all time. 1 2 3 What's the Big Deal? : Battleship Potemkin (1925). Retrieved November 28, 2010. 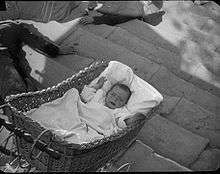 1 2 "Battleship Potemkin by Roger Ebert". Retrieved 2010-11-28. ↑ "Top Films of All-Time". Retrieved 2010-11-28. ↑ "Pet Shop Boys meet Battleship Potemkin". Retrieved 2010-11-28. 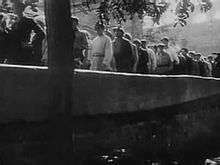 ↑ "Battleship Potemkin, Strike, October by Sergei Eisenstein: Appreciation". Retrieved 2010-11-28. ↑ "Battleship Potemkin". Retrieved 2010-11-28. ↑ Neuberger, Joan (2003). Ivan the Terrible. New York: I.B. Tauris & Co. Ltd.
1 2 3 Heinrich Himmler: Order from Top SS Commander (Himmler) about Russian Propaganda Film. Retrieved November 28, 2010. ↑ "Triumph of the Will". www.historytoday.com. Retrieved 2006-07-30. ↑ "Battleship Potemkin". Retrieved 2015-08-25. ↑ "During the night there were .. fierce conflicts between the troops and the rioters. The dead are reckoned in hundreds." See "Havoc in the Town and Harbour", The Times, 30 June 1905, p. 5. 1 2 "Iconic movie scene: The Untouchables' Union Station shoot-out". Den of Geek. November 16, 2011. ↑ Xan Brooks (1 February 2008). "Films influenced by Battleship Potemkin". The Guardian. Retrieved 10 October 2016. ↑ Peppiatt, Michael (1996). Francis Bacon: Anatomy of an Enigma. London: Weidenfeld & Nicolson ISBN 0-297-81616-0. ↑ "POTEMKIN (N/A)". British Board of Film Classification. 30 September 1926. Retrieved 10 January 2015. ↑ "BATTLESHIP POTEMKIN (X)". British Board of Film Classification. 1 January 1954. Retrieved 10 January 2015. ↑ "Case Study: Battleship Potemkin, Students' British Board of Film Classification website". Sbbfc.co.uk. Retrieved 2014-10-05. ↑ "Apskaft Presents: The Battleship Potemkin". Internet Archive. Retrieved 19 November 2015. ↑ "Battleship Potemkin (1925)". Rotten Tomatoes (Flixster). Retrieved June 10, 2014. ↑ "Battleship Potemkin". Archived from the original on 2011-03-26. Retrieved 2010-11-28. ↑ "Sight and Sound Historic Polls". BFI. Retrieved 2011-02-26. ↑ "The 100 Best Films Of World Cinema – 3. The Battleship Potemkin". Empire. ↑ "Battleship Potemkin". Total Film. Retrieved May 5, 2011. ↑ "Fun Fridays – Director's Favourite Films – Orson Welles - Film Doctor". Film Doctor. Retrieved 19 November 2015. ↑ "FUN FRIDAYS – DIRECTOR'S FAVOURITE FILMS – MICHAEL MANN - Film Doctor". Film Doctor. Retrieved 19 November 2015. ↑ "Fun Fridays – Director's Favourite Films – Paul Greengrass - Film Doctor". Film Doctor. Retrieved 19 November 2015. "Battleship Potemkin". Senses of Cinema.com. Archived from the original on 3 January 2006. Retrieved 2006-01-22.